This page contains assembly-, C and other useful code that I have made for various microcontrollers. 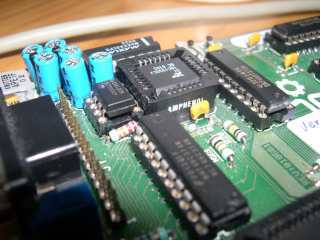 Those include AM186ER (80186 architecture), Motorola MC68HC11 and the ATMega series from Atmel. Note that a small part of the sourcecode, especially the MC68HC11 assembler has Danish comments but every variable, label and function should be in English. A driver for the MAX3100, which I used in a network communication project using a custom RTOS for AM186ER. Note: You will not get this to compile as you'll be missing the includes from the RTOS. Looking over the code, you should still be able to figure out the buffer handling, interrupt control and so on. This contains robust functions to load primary configuration data onto a FPAA (AN221E04 from Anadigm) using ATMega microcontrollers (fpaa_loadConfig() is the most important function to consider). A flowchart of the process can be seen here. Note: There are alot of dependencies here which I cannot include (you will not get it to compile), but you will get a good idea on how to program the FPAA. Note: This is dependant on Procyon AVRLib for low-level routines. 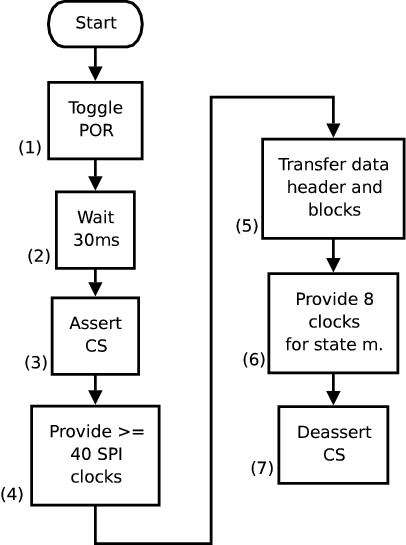 This is a basic driver for the DS1305 SPI RTC, allowing one to read and write registers. A POSIX-compliant memory allocator using a first-fit strategy and singly linked-lists for allocating unused space on the heap. Space reserved by malloc() can later be released with free(). The design is optimized for allocation search time and is thus incompatible with reallocation (ie realloc()). Note: Part of this code is strongly connected with a specific RTOS, but you should still be able to reuse the algorithm and link-structure. My modified version of the DOSFS Embedded FAT-Compatible Filesystem written by Lewin A.R.W Edwards. A fairly lightweight (see above URL) FAT16/32 filesystem with read/write support, to which I had to make some modifications for reliable functionality on ATMega with GCC. See the URL above for technical documentation on how to integrate with your own project. Note: A few sections of the code where 32-bit multiplication/division/modulus is done, there are some critical sections where I have disabled all interrupts. This was due to a bug in GCC, where R1 would not be reset to 0 (RISC programs assume this) after an arithmetic operation. This is solved in newer versions so you may remove the critical sections. Note 2: When formatting a card on Windows, you cannot be sure that it creates a partition table. This gives a problem when trying to mount a volume, as the code will have to guess where it starts. The procedure mountFatVolume() in storage.c has ways to circumvent this but it is dangerous to rely on. This is an almost complete rewrite of the MMC/SD SPI interface routines of Procyon AVRLib, which I found to be unstable in initializing certain card types. During tests with a 16MHz ATMega128 microcontroller, it takes around 5 milliseconds to write 512 bytes. This is not a hard limit though, as the card might not always be able to keep up and delay a write of up to 10 milliseconds. This piece of code is for a user-interface board built around a PCF8574 8-bit I2C I/O extender. 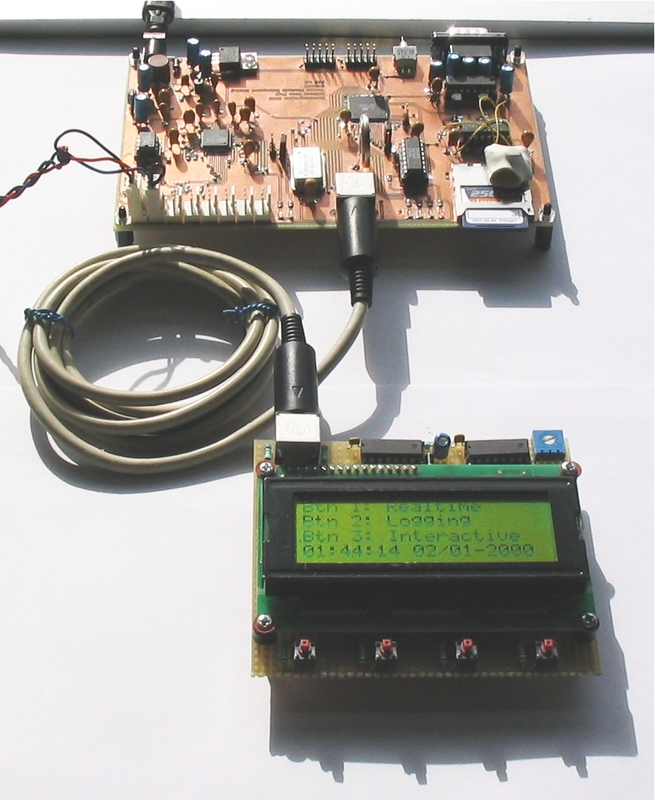 An image of the UI Board connected to the FPAA-based datalogger can be seen here. Code showing how to initialize the A/D converter on an ATMega8. Note: Contains leftovers from some CPLD interfacing, just comment it. Routines for starting the PWM output and setting the dutycycle on the ATMega8. Code to generate square, sawtooth, triangular and sinus waveforms. The sinus is stored as lookup, with only half of the waveform in memory (using horizontal symmetry only, could be improved to using only 1/4th of the waveform). Note: The frequency control is ATMega-specific. This program for an ATMega8 gives an example of a simple commandline interpreter with single-character commands. 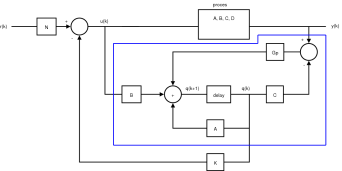 This code implements a Moore-type statemachine controlling a H-bridge. It manages the startup, braking and reversing of a connected DC-motor using RPM-feedback. 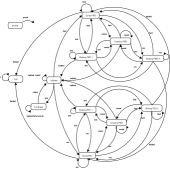 The statemachine uses a state transition table and can thus easily be used and debugged in other purposes. This code contains basic linear algebra functions to support matrix addition, multiplication and substraction on ATMega microcontrollers (should be easily portable though). It is based upon a matrix datastructure from this link. Note: Don't expect blazing performance, this is really only meant for initial testing of algorithms. 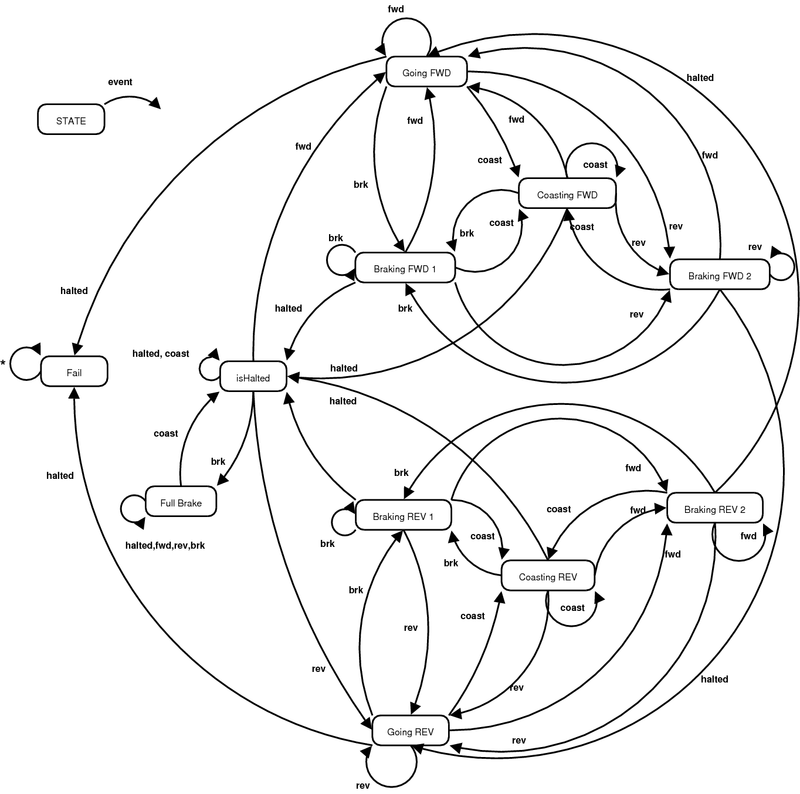 This is an implementation of a State-feedback controller with estimation of all states. Though this controller is tailor-fit to a specific project, you should be able to figure the program flow of the controller. Code for writing lines to a 2-line HD44780A-compatible LCD controller in 8-bit mode. Based from code by Ib Refer and Rasmus Maagaard. It assumes that port B of the HC11 is used as output with B0-7 mapping to the respective data pins on the LCD. 3 pins on port A is uesd for control with A3 mapping to E (LCD-Enable), A4 to R/W (Read/Write) and A5 to RS (RegisterSelect). Simple debounce of keys, using busy-wait. This code contains an implementation of SPI using bit-banging. 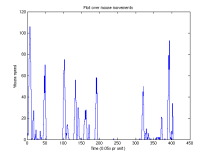 This is a Python script using the Linux kernel event interface to monitor the activity on input interfaces, mainly a mouse. It uses the evdev.py interface by Micah Dowty. It was a step on the way for my Bachelor project, involving analysis of arm injueries following computer usage. It is invoked as "./monitor.py /dev/input/eventX", and outputs to stdout in newline separated text, compatible with tools such as Matlab/OpenOffice Calc. Python script that parses an input file for MAC-addresses and calls iptables to block them.